The liver is the body’s largest glandular organ and has hundreds of important functions. The three most essential functions are producing bile to aid digestion, cleansing harmful toxins from the blood and storing glucose to fulfill the body’s energy needs. With the vital role that your liver plays in your body, it is important to pay attention to its health. Diet, exercise and adequate sleep are three keys to a healthy liver. By avoiding an excess of toxic food and beverages, such as alcohol, coffee and refined grains, you’ll be doing a great favor to your liver’s health. Many people ignore nausea and vomiting as it is usually not considered to be a serious medical problem. If nausea and vomiting occur separately or together without any known reason, such as motion sickness, dizziness, a migraine, food poisoning, early pregnancy, anxiety and depression, it can be due to a kidney or liver problem. People suffering from liver damage often have a persistent feeling of nausea. This arises due to the liver’s diminished ability to process and eliminate toxins. Changes in metabolism and digestion also cause nausea and vomiting. Constant feelings of nausea or vomiting can wreak havoc on your health and should be investigated thoroughly by a doctor. When the liver is not in good condition, your body needs to work harder in order to survive and hence needs more rest. Plus, fatigue and weakness are likely to worsen due to an increase in toxic products in the blood, which the damaged liver is not able to eliminate properly. If the feelings of weakness and tiredness are present along with any other symptoms mentioned in this article, consult your doctor for a diagnosis. Loss of appetite is also one of the early signs that your liver is not working properly. If you experience loss of appetite along with any other symptoms mentioned here, make an appointment with your doctor immediately as it could be a sign of chronic liver disease, hepatitis or kidney failure. People with liver damage may not feel like eating anything, due to the problem with bile production. Bile helps break down fats so that they can be digested. When food is not digested properly, it often leads to loss of appetite and even severe weight loss. Significant changes in appetite can also make a person weak and tired, which can further hinder recovery. The liver plays an active role in the digestion process through the production of bile. Bile helps process the nutrients absorbed from the small intestine and plays an important role in digesting fat. Thus, if the liver begins to malfunction, it can result in digestive problems like diarrhea and indigestion. Abnormalities in bile production can also lead to gallstones, abdominal bloating, constipation, irritable bowel syndrome and intolerance to fatty foods and alcohol. When the damage is severe, it can cause severe abdominal pain that often sends people to the doctor. If you are drinking enough fluid and your urine has a darker color, it may be an indication of a liver problem. Dark-colored urine can look orange, amber or brown. Dark urine can also be caused by dehydration, taking vitamin B supplements, side effects of antibiotics, enzyme deficiencies, a urinary tract infection and kidney problems. 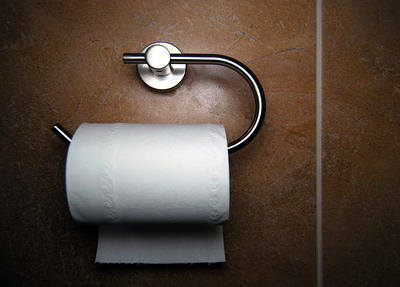 If your urine is persistently dark, you should visit your doctor for a diagnosis. Jaundice is caused by a buildup of bilirubin in the blood and body tissue that the liver normally would get rid of along with old red blood cells. Bilirubin is a yellow pigment that is formed by the breakdown of dead red blood cells in the liver. When bilirubin accumulates in your bloodstream and then on your skin, it takes on a yellowish hue. As jaundice may also indicate a serious problem with your gallbladder or pancreas, do not take it lightly and follow your doctor’s advice. Inflammation or scarring in the liver affects bile production, which causes stool to appear grey, pale, yellow or clay-colored. Having pale or clay-colored stools once in a while is fine. If it occurs frequently, consult a doctor to rule out the possibility of liver damage or any other illness. Changes in the abdominal area is another possible sign of a malfunctioning liver. You may experience pain or cramping in the lower abdominal area as well as swelling. This can quickly lead to the feeling of bloating. Medically, these symptoms relate to the problem known as ascites. Ascites is a buildup of fluid in the abdominal cavity, which happens due advanced liver disease or cirrhosis. It is usually accompanied by other symptoms, such as portal hypertension (an increase in the blood pressure in the portal vein system of the liver). Ascites can also be caused by non-liver disorders. Hence, it is best to consult a doctor for proper diagnosis. Early liver damage can also lead to fluid retention that causes swelling in the feet and ankles. This is also related to ascites and portal hypertention. Also, liver damage affects liver function and causes changes in the secretion of fluid-regulation chemicals. Other possible causes of fluid retention are a hormonal imbalance in the body, kidney-related problems, heart disease and a problem with the lymphatic system. Hence, it is important to consult a doctor for proper diagnosis. These skin problems occur due to irritants on the skin that the liver normally takes care of. 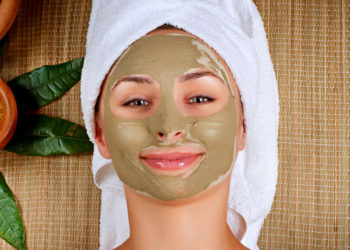 Keeping the skin moisturized will help provide relief to some extent, but the skin sensitivity will probably worsen until the underlying liver problem is identified and addressed. is too much drinking suplements and vitamins such as fish oil, vit c, b complex, magnesium Hypertension tabs, can cause liver damage? This is good information, we also need your support on how to prevent or rid of all these problems in such a way that we can easily control ourself. Thanks. 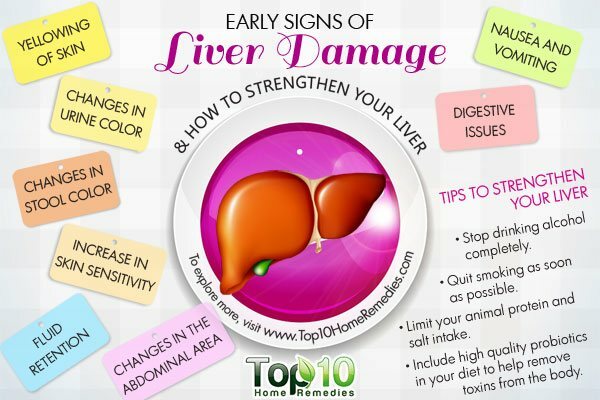 Very useful information for preventing Liver damage. Thanks..
That’s very good for knowing what is going on in your body. your body is important to take care of it health wise. This mesical information and advices are very useful to all mankind. Pls keep up the good work. This is educative, informative and illuminating especially on Public Health Education. If the respective Local, State or Federal arm of Governments can built from this through mass public campaign and awareness, the quality of millions of lives could be improved and saved especially in the Developing Countries. Thankyou for the precious information…. I found this article interesting and very informative. I have a mothet who suffers from Cirrhosis . She never drunk alcohol. She got it from Hepatitis C. What would be the bexg way to cleanse her liver knowing that she keeps very good food diet (with no sugar, no fat in the meals and no medication). Her doctor there is no treatment for Cirrhosis. Very important article for information that gives us enough idea to protect our liver. Thank you. Thank you for the information on how to care for your liver. May I know if long drug use for Diabetic and Hypertension has side effect on liver and how can one overcome it. God bless you. How do we reach you some of our either medical treatment. That’s great, I do feel nausea almost all the time but this ur site is educative.